MOSCOW, The first launch of the heavy class rocket Angara-A5 is scheduled for December 25, the deputy general designer of the Khrunichev Space Center, Yuri Bakhvalov has told the media. After more than two decades of tortuous development, Russia's most powerful space vehicle to date will make a historic maiden launch on Tuesday. 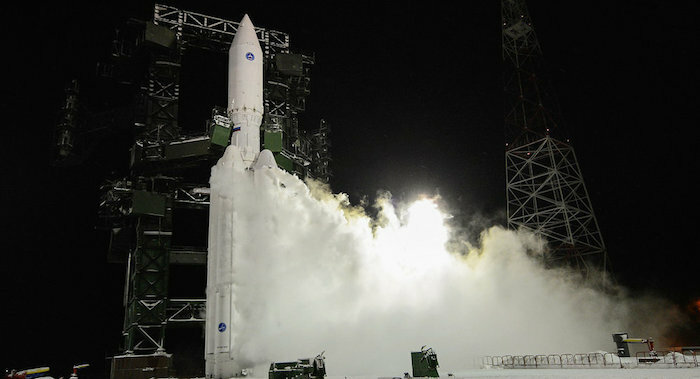 The liftoff of the Angara-A5 rocket is scheduled for 23 December, 2014, at 08:57 Moscow Time (05:57 UTC) from the nation's military launch site near Plesetsk, north of Moscow. 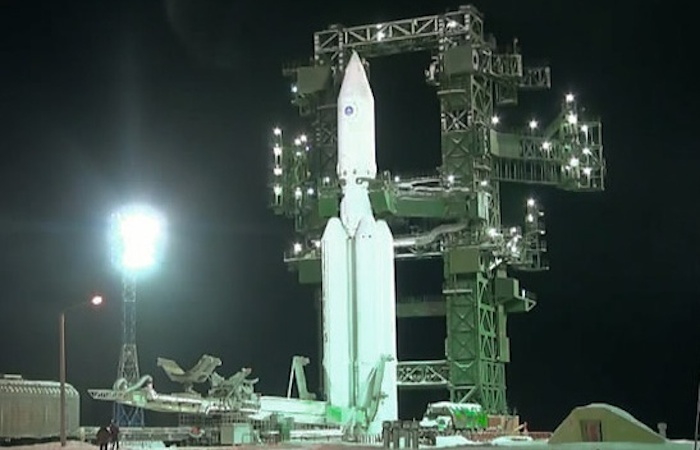 During its inaugural mission, the 773-ton Angara-A5 will carry a dummy cargo. The three-stage rocket is expected to demonstrate the capability to deliver a satellite into geostationary orbit with an altitude of 36,000 km above the equator. Reaching this destination is critical for the deployment of most communications and weather-watching satellites. The same orbit is also a home of military early-warning satellites scanning the Earth's surface for infra-red signatures emitted by ballistic missiles and other powerful jet engines. The introduction of the Angara-A5 will mark full independence of the Russian military and civilian space program from former Soviet republics in its launch capability. The rocket was designed to incorporate hardware built inside the Russian Federation and its launch pad is located within the Russian territory. The new vehicle should eventually replace the Proton rocket, currently the workhorse of the Russian space program, which can only be launched from Baikonur Cosmodrome in Kazakhstan. Russia pays more than $100 million annually for the rent of the former Soviet space base. In addition to its role as a carrier of military and commercial satellites, Angara-A5 is also expected to launch Russia's next-generation piloted spacecraft and space station modules. For this purpose, the Russian government promised to build another launch facility for Angara rockets at the new Vostochny space center in the Russian Far East. Vostochny, located almost on the same latitude as Baikonur, will further increase Angara's capabilities, currently hampered by the extreme northern location of its only operational launch pad in Plesetsk. The original decision to base Angara at existing facilities in Plesetsk was dictated largely by post-Soviet economic collapse. The financial problems combined with many technical challenges ultimately dragged the Angara project almost a decade behind its original development schedule. The Angara family of rockets was designed around a modular architecture enabling Russia to build launchers with different payload capacity by varying a number of standard boosters. The light version of the Angara, featuring a single first-stage rocket module, flew a successful suborbital test mission in July. All but one rocket stage comprising the Angara series use non-toxic kerosene as fuel, and liquid oxygen as oxidizer. 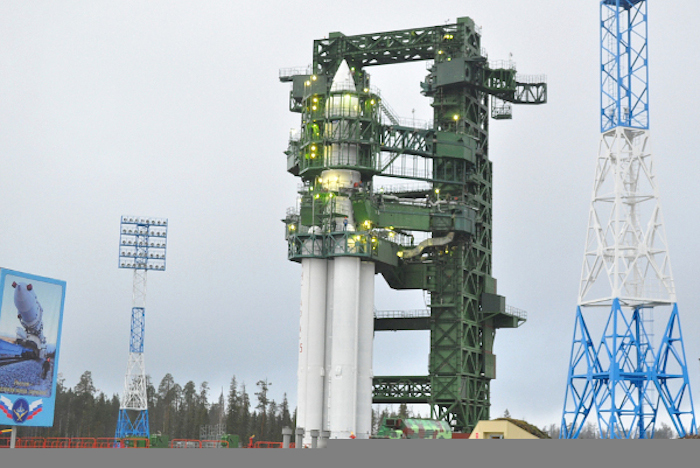 The first Angara 5 rocket sits on its launch pad at the Plesetsk Cosmodrome in northern Russia. 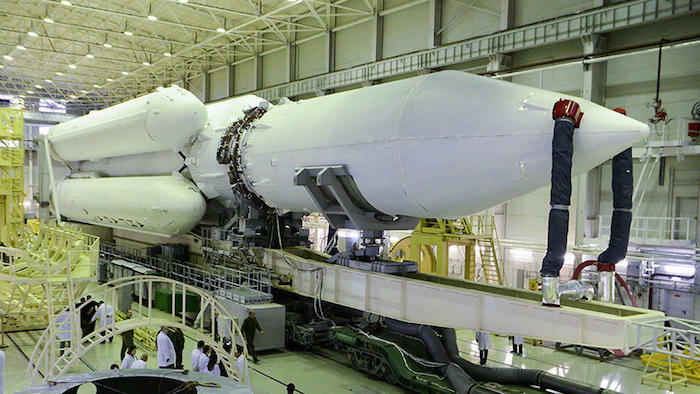 Russia’s powerful new Angara 5 rocket — made of a cluster of five kerosene-fueled main engines — is being prepared for a maiden test flight as soon as Tuesday that could usher in a new era in the Russian space program, according to Russian news reports. The rocket is being readied for liftoff from the Site 35 launch pad at the Plesetsk Cosmodrome, a military-run space center about 500 miles north of Moscow. The launch could occur as soon as Tuesday at 0558 GMT (12:58 a.m. EST), according a report by Russia’s Itar-Tass news agency. Itar-Tass said Sunday the rocket was installed on its launch pad and undergoing preparations for liftoff. Other Russian news reports have set the Angara 5 launch date for Dec. 25. The 180-foot-tall Angara 5 rocket is Russia’s most capable new launch vehicle in a generation, and its first test flight is the culmination of a 22-year development effort that cost approximately $2.9 billion, Itar-Tass reported. Officials say the Angara rocket program — which includes several rocket models to lift light, medium-class and heavy satellites into space — will allow the Russian government to retire the Proton and Rockot boosters and transfer launches from the Baikonur Cosmodrome in Kazakhstan to space centers on Russian territory. The demonstration launch will not carry an operational satellite. The rocket mission will put a simulated spacecraft packaged inside the rocket’s five-meter (16-foot) diameter payload shroud into orbit thousands of miles above Earth. Russia has not disclosed the target orbit for the Angara 5’s test launch, but observers suspect the mission will aim for geostationary transfer orbit — an egg-shaped orbit with a high point at geostationary altitude near 22,000 miles in altitude — or geostationary orbit itself. Weighing 773 metric tons (852 tons) when filled with kerosene, liquid oxygen and hypergolic propellants, the Angara 5 is the biggest Russian launcher to debut since the Energia rocket for the Soviet Union’s Buran space shuttle flew in the late 1980s. Five RD-191 rocket engines will fire to push the Angara 5 launcher into the sky. The kerosene-fueled engines, made by NPO Energomash of Khimki, Russia, will generate 2.2 million pounds of thrust at maximum throttle. Engineers derived the single-chamber RD-191 engine from the four-nozzle RD-171 and dual-chamber RD-180 engines flying on the Zenit and Atlas 5 launchers. Russia tested a smaller version of the Angara rocket in July on a suborbital flight powered by a single RD-191 engine. Engineers designed the Angara 5 booster to use five RD-191 engine cores bolted together to put Russia’s heaviest satellites into orbit. The five engines will fire in unison for more than three minutes, when four of the outboard boosters will shut down and fall away from the launcher. The core RD-191 engine — operated at a partial thrust throttle setting in the first phase of the flight — will ramp up to full power and continue burning until it consumes all of its kerosene and liquid oxygen propellant supply. A second stage RD-0124A engine and a Breeze M upper stage — borrowed from Russia’s Soyuz 2-1b and Proton rockets — will finish the job. The flight’s target orbit, likely geostationary orbit or geostationary transfer orbit, will require a series of burns by the Breeze M’s main engine over several hours. The Angara rocket family comes in several configurations designed for light, medium-class and heavy satellites. The Angara 5 can place up to 24.5 metric tons — about 54,000 pounds — into a 120-mile-high orbit. On missions with communications satellites heading for geostationary transfer orbit, an Angara 5 rocket can lift up to 5.4 metric tons, or about 11,900 pounds, according to the Khrunichev State Research and Production Space Center, the Angara program’s prime contractor. Khrunichev and its U.S.-based subsidiary International Launch Services plan to use the Angara 5 rocket to launch commercial communications satellites, eventually replacing the Proton rocket on the global market. The lightweight single-core Angara 1 launcher is tailored for missions to orbits a few hundred miles above Earth. Engineers could add or remove more Angara rocket cores to send up lighter or heavier satellites, depending on the specifics of each mission. The modular approach makes for a more flexible rocket, according to Khrunichev. Officials say all of the Angara variants can fly from the same launch pad. Khrunichev also touts the Angara rocket as an environmentally safe alternative to the Proton rocket, which burns hundreds of tons of toxic hydrazine and nitrogen tetroxide propellants on each launch. “The commissioning of the Angara system will provide to Russia the capability to launch any type of spacecraft from its own territory, and will secure for our country an independent access to outer space,” Khrunichev said in a statement on its website. MOSCOW. A new Russian heavy rocket was successfully test-launched from the Plesetsk space center on Tuesday as planned at 08:57am Moscow time. The head unit has separated from the third stage of the Angara rocket, the Russian Defense Ministry press service confirmed. Twelve minutes after the liftoff, the orbital unit separated from the third stage, the press service said. The Briz-M upper stage will carry the orbital unit to the planned geostationary orbit. ЭIndeed, this is a great and very important event for our rocket-and-space sphere, and for Russia in general,” Russian President Vladimir Putin said. Russia places serious hopes on the Angara. After tests, Russia plans to launch space vehicles of all types from its territory and ensure independent guaranteed access to space. It is one of priority projects of the Russian space industry. 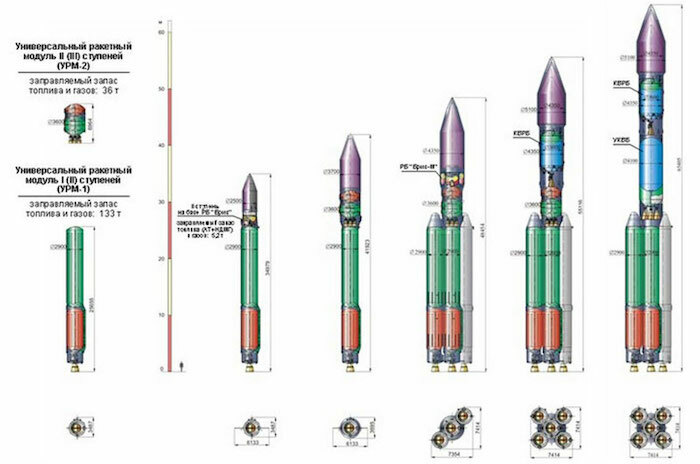 Various Angara rockets are developed from light to heavy class, capable to carry from 1.5 to 25 tons. The light-class model was tested last summer. The rocket successfully reached the designated area within the Kura range on Kamchatka, 5,700 km from the launch site. Angara-A5 is capable of carrying 3-24.5 tons and can replace the Proton carrier. The heavy Angara is not designed for manned flights. Russia’s newest heavy launch vehicle, the environmentally friendly Angara-A5 has taken off from the Plesetsk Space Complex in the country’s northwest, a source in the space industry told RIA Novosti on Tuesday. Later, Russian Defense Minister Sergei Shoigu confirmed the successful launch in a phone call to Russian President Vladimir Putin, the Defense Ministry said. The Angara family of space launch vehicles is designed to propel cargo weighing between 2,000 and 40,500 kilograms (4,400 — 89,300 pounds) into low Earth orbit. It has been in development since 1995. Russian Space Agency Roscosmos said that the new Angara rocket would give Russia independent access to space, and the possibility to advance to a new level of technological development. The Angara will have the ability to put satellites and other equipment into geostationary orbit. 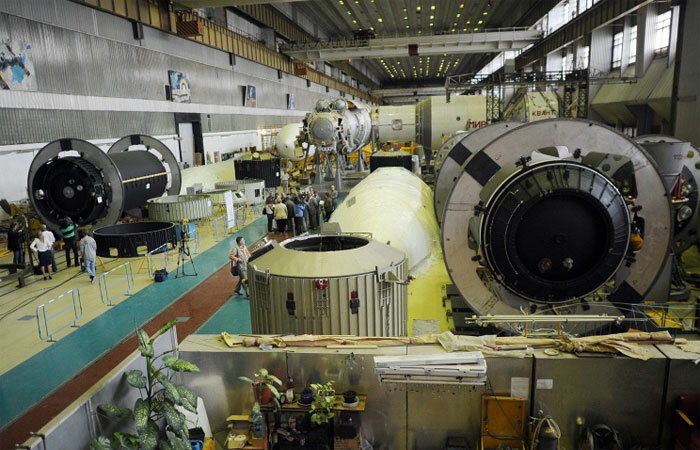 All of the parts which are used in the rocket's development have been produced in Russia, minimizing the country's reliance on partnerships with other space agencies. Additionally, environmentally-friendly fuel will be used in the rocket, including oxygen and kerosene. The Angara-A5, the largest rocket ever launched from the Plesetsk Cosmodrome, weighs 773 tons. 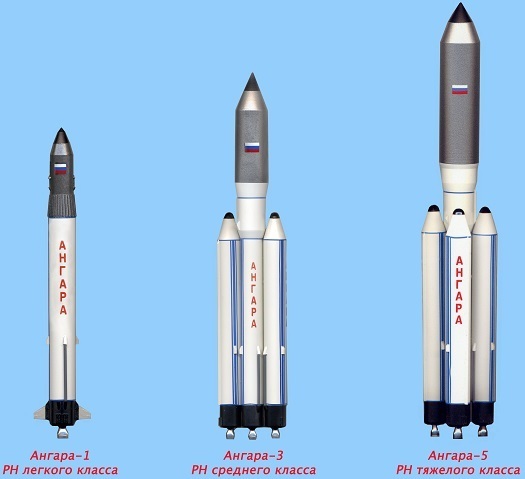 The family of Angara rockets includes light-, medium- and heavy-lift launch vehicles. The Angara family of rockets are designed to complement Russia’s Soyuz rocket, currently the only vehicle in the world capable of taking astronauts to the International Space Station. The Angara series will replace the Proton rocket family, which was previously used to put satellites, manned vehicles, and other equipment in low-Earth orbit. 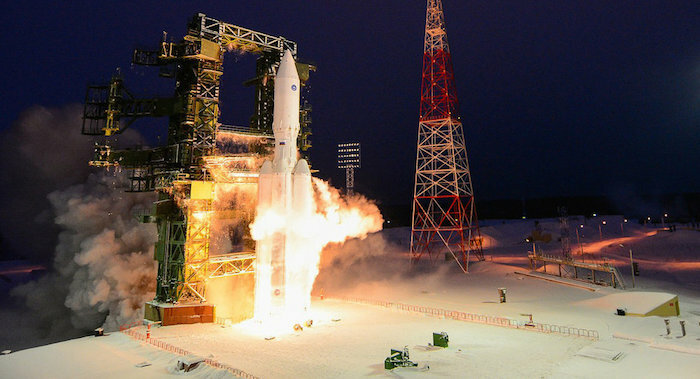 Flight tests for the Angara series began on July 9, when the light-lift launch vehicle Angara-1.2PP was successfully launched after the date had been postponed several times due to additional testing. 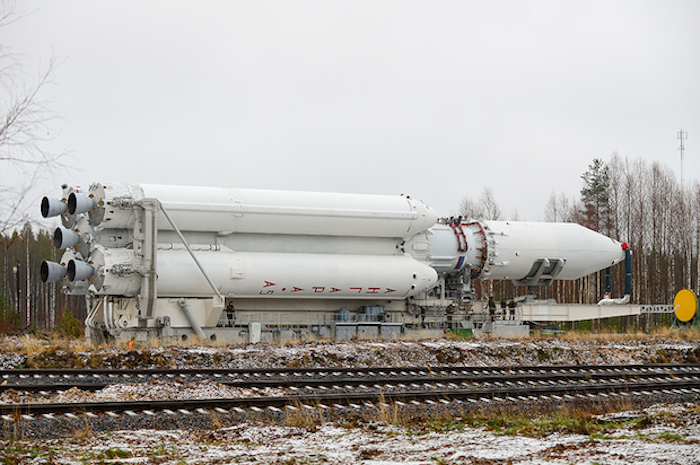 The Angara-A5 will be launched from both the Plesetsk Cosmodrome and from the Vostochny launch pad in the Amur Region, which is currently under construction. The first manned Angara-A5 flight is set for 2018; the rocket will take off from the Vostochny Cosmodrome.